A Russian Orthodox faithful prays during a Christmas church service in Moscow on Jan. 7. The Russian Orthodox Church celebrates Christmas according to an ancient Julian calendar. 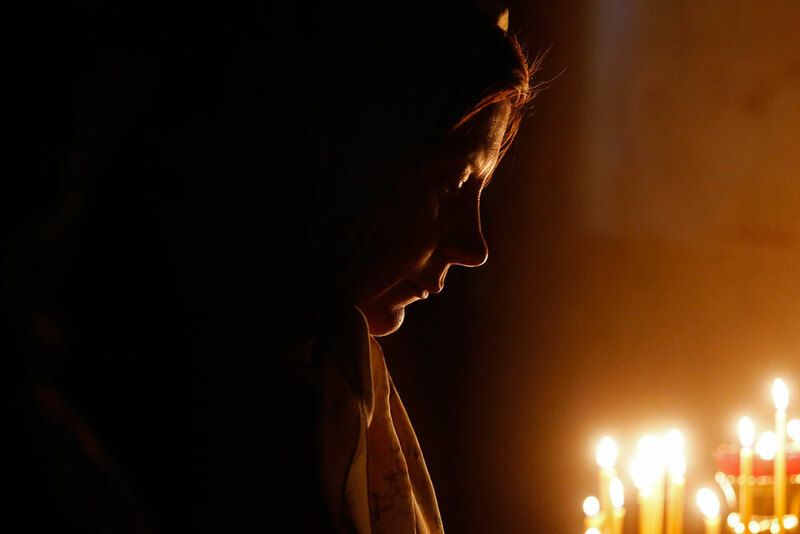 A Russian Orthodox faithful prays during a Christmas church service in Moscow on Jan. 7.